Are you one of the many that make resolutions and goals in the New Year? Perhaps you want to get in shape, eat better or get your finances in order. We have a suggestion for one more goal you can add to your list for 2016 – save money on your insurance costs! It does take a little time and effort, but what you put in you’ll get out. This is by far the most important tip in this list. While you might think that all providers will offer similar rates, you’d be surprised how much rates can differ from insurer to insurer. It can also make a big difference who you talk to – not all brokers or agents are cut from the same cloth. Different companies can also have different policies and different ways to save. Take the time to do your research online, gather quotes and compare offerings from different providers. When it comes to cheap auto insurance, one of the most important things is ensuring that your driver’s record is as clean as possible. High risk drivers pay higher rates. Even just one minor accident can pump up your rates. So don’t drive distracted, ensure that your car is well maintained and properly winterized and play it safe out there! Speaking of winterizing your car, there is a new development for car insurance in Ontario. Drivers are now (as of January 1st, 2016) eligible for a winter tire discount. Learn more about that here. This small device, also referred to as Plug n Save, is a way for drivers in Ontario to get further discounts on their car insurance based on usage. More details can be found here. Is getting a new vehicle on your list for 2016? Before you buy, do some research into insurance rates for different makes and models. It can make a difference! Here’s a resource from the Insurance Bureau of Canada to get you started. Have you done any work on your home or properly recently? Any upgrades or renovations that would affect the value of your home? While you might think that maintaining your lower valuation is a better way to save on your home insurance rates, this can backfire. If an insurer discovers that your home was under-valued or if something happens that would affect any of the new work you’ve done that was not under the current insurance policy you have, you might find yourself shelling out much, much more when disaster strikes. We discuss this scenario further in this post. This is one of our top tips here at Insurance Buddy. 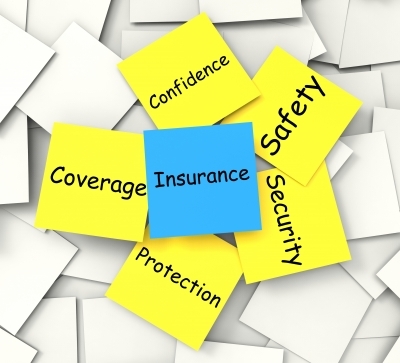 Some insurance companies will offer better rates when you purchase more than one insurance policy. So if at the moment you get car insurance from one company and your home insurance from another, contact each of them (or your broker) to see what kind of savings they can offer you if you give them all of your business. Plenty of questions! You want to be sure that the provider has all the information about your needs and your situation. You can’t leave the onus of gathering all your details on them or assume that they will cover each and every thing. Not all brokers or providers will necessarily address some of our tips above, for example. So make sure that you do! Don’t worry about feeling stupid or being bothersome – it’s their job to answer all your queries and any good agent will be willing and happy to do so. You never know unless you ask! If you’re looking specifically for cheap car insurance, check out this post that covers 10 ways you can save on insurance rates for your vehicle. Use our tips above to get cheaper insurance rates. Do you have any others to share? Hit us up on Facebook with your favourite way to save on insurance. Auto Insurance Q & A: How Far Back Do Insurance Companies Look? Home Insurance Q & A – How is Condo Insurance Different from Home Insurance? Get an online car insurance quote now! Get an online home insurance quote now!